At the small, historic city of Tumwater, Washington, the Deschutes River ends its journey from the shoulders of the Cascade range to tumble a final 82 feet into Capitol Lake, once the final reach of Puget Sound. 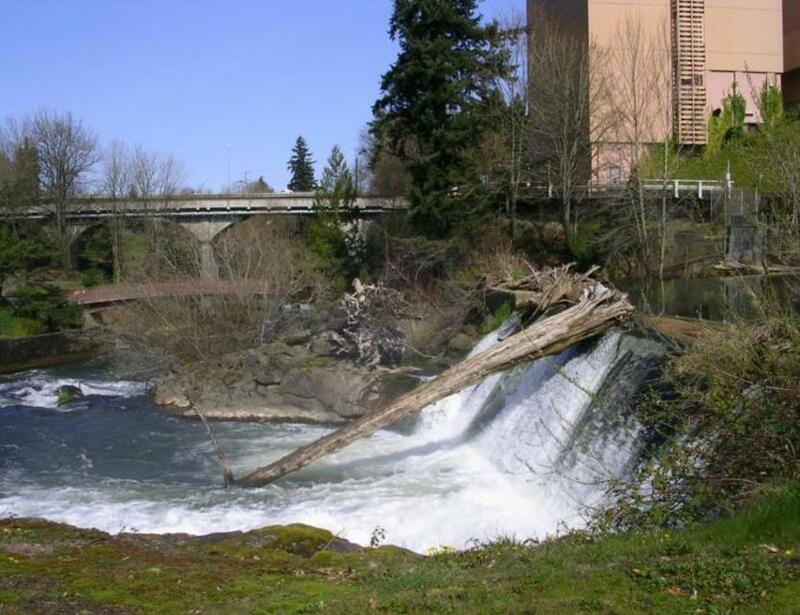 Here, bordering the banks of the river is Tumwater Falls Park, providing the visitor with 15 acres filled with natural, picturesque beauty and year round atmosphere of enjoyment for those of all ages. 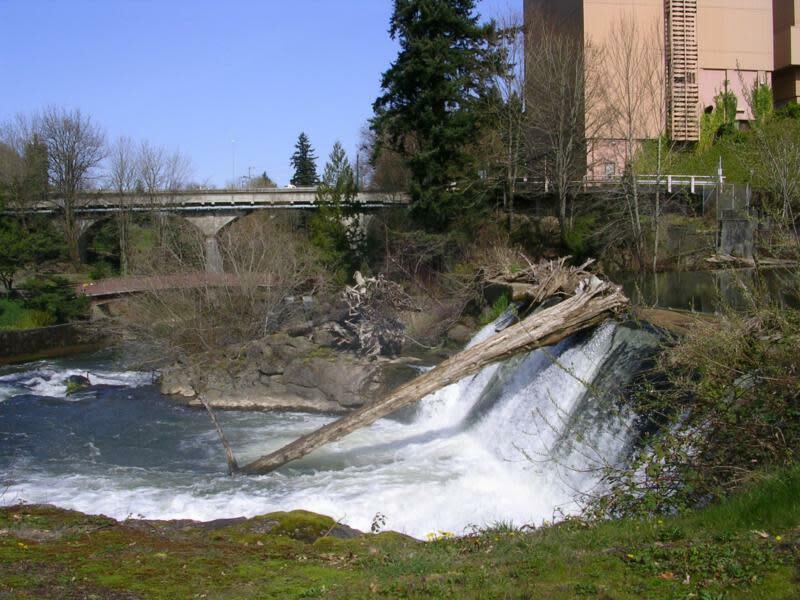 A wide variety of native trees and shrubs line both sides of the river as it pitches and eddies through a Gorge of bouldered rapids and deep pools; its course culminating in a mist-filled plunge over Tumwater Falls. One-half mile of walking trails are highlighted by cascading waterfalls, still, reflective pools and massive rocks. Spanning the river at both ends of the gorge and connecting the network of trails are foot bridges designed for compatibility with the surroundings and historic accuracy. At the upper reaches and entrance to the Park, visitors will find, wide expanses of beautifully maintained lawns, picnic facilities, a sand-filled area for children featuring uniquely designed play items, immaculate restrooms and ample parking.